Posted on June 4, 2015 by That Girl Kelly! To be that person that is obliterated from someone’s life, well you’d immediately think that I must have done something pretty terrible, wouldn’t you of thought? The relationship with my father has experienced a slow deterioration over the years and has taken a dramatic turn for the worst over the last three years. This man who has the title ‘My Father’, whom I pedestalled for years and years, despite his heavy drinking and quick fired temper, the constant let downs and disappointments, none of that mattered to me, I was his child and still looked at him through ‘childlike eyes’ naive but ever-loving, I loved him and I thought that I needed him to love me. We had this relationship that was dependant on each other’s pretend solidarity, this united front that to the onlookers would seem we had the perfect relationship. The realisation that this father daughter relationship was a farce has taken some coming to terms with and I guess I grieve for the relationship and the man that once was! But nothing stays the same, things change all the time, people die, people leave, and that’s what happened, I grew up, I became a wife and a mother, and I realised that actually whatever the reason, I could never ever treat my children the way he has treated me over the last few years! Admittedly, it’s not always been like this, there have been memories that I will hold dear, but that’s it, that’s what I fear, all I will have is a few memories of the Dad that I love. Sadly that person has changed, and he’s changed beyond recognition, I no longer recognise the man that has taken over the skin and bones that looks like and sounds like my dad but acts like a complete (dickhead – excuse my colourful language) stranger. The way I see it, when you become a parent it’s for life, its forever… for as long as you breathe and beyond the grave. It doesn’t just stop, I am a mother to seven children, three of them are sadly in heaven but I am still a mother to seven and that means I will honour their memory in the way that should be deserved and I will look after my living children to the best of my ability and more, walk the earth for them, trade my life for theirs if I could, because the love for your child is unconditional and is not a love with terms and conditions! I have learnt a lot about people, friends and family alike during times of need, who you can lean on, who you can trust and who is deserved of recognition and some people stand tall where others fall. As a child you look up to your parent’s despite the rules and regulations, the curfews groundings and embarrassing dancing. I am no different, I looked up to him, trusted him to make things better and more importantly just be there to support me in times of need and hardship. When our twins Louis and Corey died shortly after their birth in 2005, my dad was of great support to me and I guess I assumed that my dad would behave in the same way when Elliot died on the 6th December 2012. It didn’t happen. In fact I didn’t hear anything from him at all… No text, no phone call, nothing! It is now obvious that my father’s previous efforts were more than likely directed from his wife at the time. I have a mum, a sister, a husband and four amazing children that have surprised me and made me incredibly proud over the last two years, I have many close friends and an extended family, so this blog isn’t about needing family or friends it’s about being failed by a person who you trust. 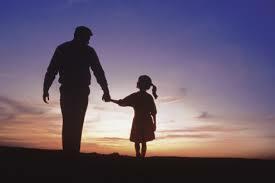 I’m left wondering what have I done for my dad to not want to be here for me? A question that remains unanswered from the very last phonecall I had with him when I demanded an answer for his cruel behaviour, simply asked him to tell me what I have done that makes him want to treat me this way…..
See this blog could go on and on about being mistreated and let down constantly but there is no point and if he reads this or someone tells him of this writing then he will know, deep down he will know each and every wrong doing and its him that will have to live with the guilt, and its him that’s missing out on each of his amazingly beautiful intelligent grandchildren. One of which he has never met, in fact doesn’t even know she exists! So from me to my father…. I took you in to my home and supported you when your marriage broke down, I gave you a job, paid you a wage and gave you a car! You took that room and made no attempt to pay your way, just bad mouthed me to my own sister … “she’s materialistic”, She’s up her own A**etc , you took that car and never paid the loan payments….we didn’t even get a Thank You ! I helped you get a home of your own to rent! They say the ‘grass isn’t always greener, and if you think it is, take a little time to water your own lawn’. Despite my disappointment with your move, I remained in contact, calling, texting, visiting…. You know how that made me feel because I told you in a letter but you never replied or offered any explanation or apology… is this the behaviour of a father that loves his daughter?? Finally on your last visit resulted with you bringing your girlfriend in to my home and you allowed her to disrespect me, my husband, our home and possessions, you made promises to my children and left in the middle night, leaving no explanation or note, the only reason was … to save the face of your embarrassed, using, manipulating, self-centred and selfish girlfriend! I was left to console my children as they wept for their granddad, I called and was ignored for a time and then abused verbally by both you and your puppet master! I haven’t contacted you, and we have not spoken since our argument where you “wished me a nice life and told me not contact you again” So your wish is granted and the ball is in your court, you have my number? You have my address? You know where I live? But somehow, you have managed to shift all the blame for the fall out on to me… how you sleep at night is beyond me! Oh! Forgive me, I remember how….you drink yourself to sleep….. The long and short of this is that blood makes you related but loyalty makes you family! I live daily with the thoughts and the fears that I may never see you again! I may get an invite to a funeral in years to come, but then, another dilemma, do I do as you did and not show respect? Father’s Day is looming and I am in a predicament, ‘shall I, or shan’t I’? So in advance, Happy Father’s Day…. It comes around more often then you! I do love you and I will always will but loving you doesn’t give you a right to my life nor to treat me badly and expect eternal forgiveness in return. Having a baby will change your life!